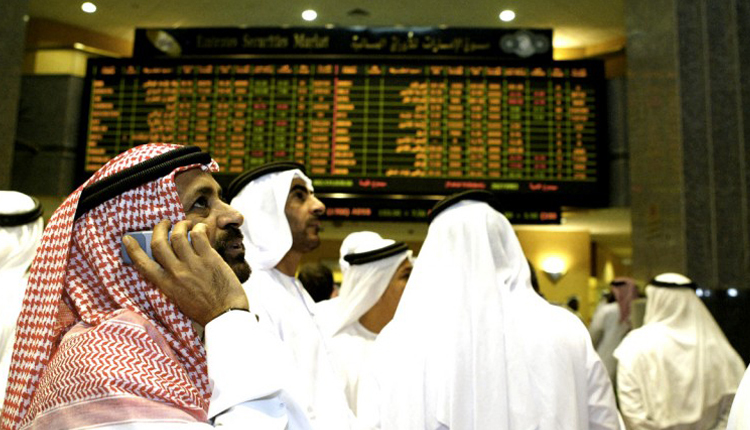 Saudi Arabia’s bourse was up 0.4 percent after half an hour of trading, with Al Khaleej Training and Education jumping 5.7 percent after its third-quarter revenue rose. Saudi Vitrified Clay Pipe rose 1.7 percent after reporting a 23 percent gain in profit for the same period. Market heavyweights Al Rajhi Bank and Saudi Basic Industries Corp added 0.6 percent and 0.5 percent, respectively. The Dubai index rose 0.5 percent, aided by real estate and industrial stocks. Property developer Emaar Malls was up 3.3 percent, while Arabtec, which has appointed U.S.-based Moelis & Co to assist with a debt restructuring, jumped 7.7 percent. DXB Entertainments lost 2.8 percent after posting a drop in third-quarter revenue and Dubai Islamic Insurance slid 4.4 percent after appointing a consulting firm to advise on its solvency. Qatar’s index was flat, after hitting its highest level in a year and a half on Monday after a government reshuffle. Qatar Insurance rose 1.4 percent and Qatar First Bank gained 2.4 percent in early trade. Qatar Islamic Bank was down 0.4 percent after brokerage EFG Hermes cut its rating on the stock to ‘sell’ from ‘neutral’. In Abu Dhabi the index fell 0.2 percent. First Abu Dhabi Bank slipped 0.1 percent, while Ras Al Khaimah Cement dived 8.5 percent.